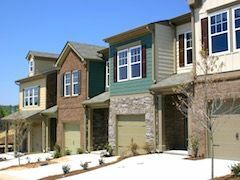 There are dozens of popular home styles prevalent in Metro Atlanta, many of them with their own unique sub-styles. The Better Homes and Gardens Real Estate home style video series takes you through many of America's most beloved architectural designs and breaks down the common characteristics & features you'll find with each style. Learn about many of the common interior/exterior renovation ideas that are possible with each style. 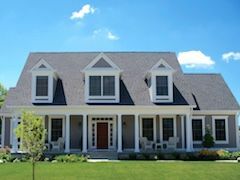 Finally, browse Atlanta area homes for sale to find the perfect house with the right size, layout and price to meet your family's needs. 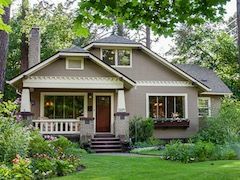 The bungalow style home is very common in many of the older Atlanta neighborhoods, especially in areas like Candler Park, Decatur, East Atlanta, Edgewood, Grant Park and Kirkwood. Many of these historic homes built in the 1920's and 1930's have been fully renovated and updated, but still manage to maintain their classic character. Learn more & view homes for sale. 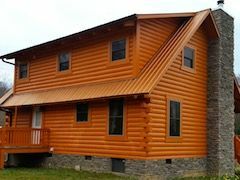 More commonly found in rural areas, the cabin style home is designed with simplicity and nature in mind; making them ideal for second homes or rental properties. With wood features prominently used throughout the interior and exterior of the house, cabins elicit a sense of nature, whether they're located in the woods, or tucked against the mountains. Learn more & view homes for sale. 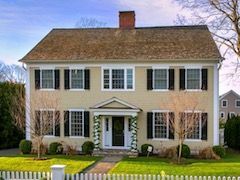 A home style that originated in New England more than 400 years ago, the Cape Cod represents one of the longest running architectural designs in America. Not much has changed in the basic design since its inception. The boxy floor plan typically has one and a half stories with approximately 1,000 - 1,350 sq/ft of living space. 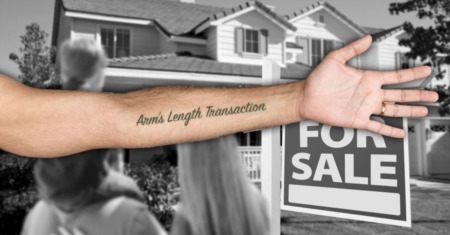 Learn more & view homes for sale. The colonial, a home design dating back to the 1600's, is quite common in the Metro Atlanta area. An evolution of European architecture, the design has grown over the years with a number of sub-styles and floor plans that now exceed two stories. Modern designs provide plenty of space for the entire family, and then some. Learn more & view homes for sale. 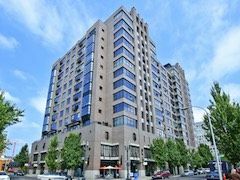 A condo is a privately owned residence within a larger community where common areas are jointly owned by those with an ownership stake in the building. 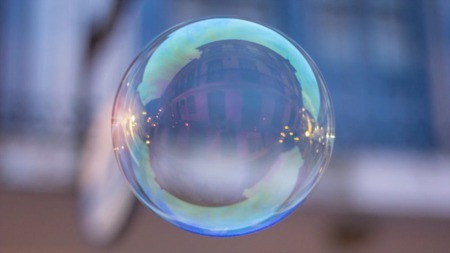 Mandatory association fees, paid by property owners, cover the costs of building maintenance, management fees and amenities. Popular in urban settings, the condo provides affordable living opportunities. Learn more & view homes for sale. 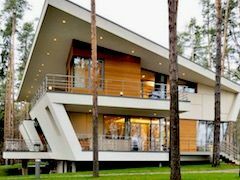 Known for their irregular facade and strong use of geometric shapes, the contemporary home appeals to those with a minimalist mindset. The flat roof, distinct lines and simplistic design make them instantly recognizable. Walls of windows provide an abundance of natural light and a strong connection with nature. 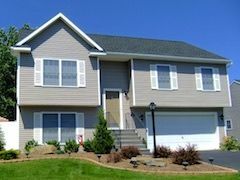 Learn more & view homes for sale. The duplex, commonly referred to as a multi-family property, is a single structure with two living units under one roof. 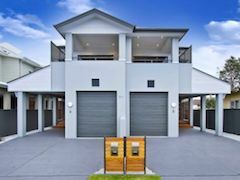 Common in urban areas where land is expensive or scarce, the duplex can be identified by two private entrances and individual living spaces separated by a common firewall. This setup is popular among investors. Learn more & view homes for sale. 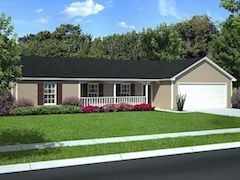 The raised ranch, commonly referred to as the split-foyer, came about in the 1960's when the growing U.S. family size required more space than the single level ranch had to offer. The dual-level design added a daylight basement, a perfect space for entertaining. The integrated two car garage offers covered parking and secure access to the home. Learn more & view homes for sale. The ranch is a home style that first appeared in the 1920's and became hugely popular through the 1970's. An architectural style originating in the U.S., the ranch puts all living space on one level, allowing for easy customization and configuration. 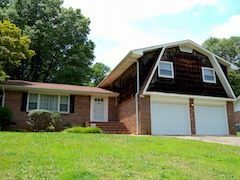 Currently, many of these older ranch homes are being completely gutted and renovated. Learn more & view homes for sale. The split-level is what its name implies, a traditional one-level home with half the floor plan situated on two different levels. Bedrooms are typically located on the upper level, while the lower level is traditionally a family room; a design that offers more privacy than your typical ranch. A main level is where the kitchen, living room and formal dining room are found. Learn more & view homes for sale. With characteristics of both homes and condos combined into one, the Townhome offers some of the best of both worlds. These multi-story homes share at least one common wall with adjoining units, but often have separate fenced-in backyards. A Townhome can have as many as four or more levels, making them tall and skinny in appearance. Learn more & view homes for sale. Characterized by a steeply pitched roof and dark half timbering, the Tudor home is a unique style of residential architecture. 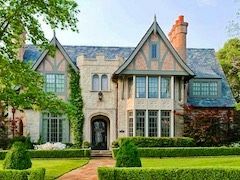 Quite common in cities like Avondale Estates, the Tudor home is a classic design with storybook charm. With low ceilings and rooms that are generally small, the home can have a cave-like feel that is very sheltering. Learn more & view homes for sale. 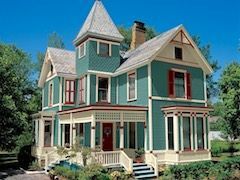 The Victorian home style is typically a very complex style of architecture with elaborate design and distinct details. The two or three story asymmetrical exterior is characterized by a steep roof, wraparound porch and decorative accents. Their use of copulas, turrets, dormers, bay windows and orioles give the exterior a fancy appearance. 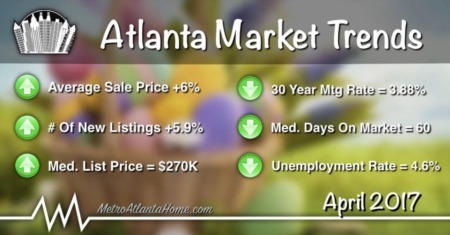 Learn more & view homes for sale.